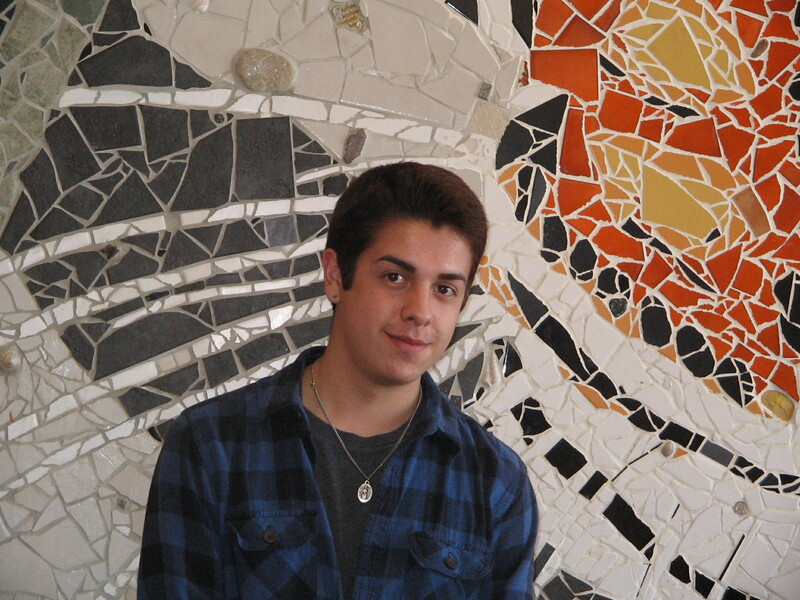 Nick Gonzalez is a senior at Taos High School. He has been singing since he was three years old. On March 13th he got to sing the national anthem at The Pit Arena, in Albuquerque. However, he started singing early in life. The first time he performed in public was to sing “Silent Night” and “Away in a Manger” when he was eight years, for a church event. He said he used to be quite shy, but all that changed when he started high school. Gonzalez had taken piano lessons before, but never had any vocal coaching until he joined the TaosHigh School chorus. His family moved from Questa to Taos five years ago. They have always encouraged him to pursue his dreams, Gonzalez said. Gonzalez participated in his first national event in 2011. It was a Fine Arts Festival sponsored by the Assemblies of God’s youth ministries that took place in Phoenix, Arizona. After he graduates from Taos High, Gonzalez plans to start college here and take basic classes at UNM-Taos. Gonzalez currently belongs to the St. Michael’s Youth Group that meets at Guadalupe Church and he is very active in it.